The combined benefits of essential oils with therapeutic massage offer a pleasurable and yet very effective method of healing. Together they enhance the circulation of blood and lymph and therefore aid detoxification, relax and tone tense and overworked muscles and promote wellbeing and vitality. If you feel that Aromatherapy is for you and want to book a session please call 0208 549 8000. You can also check our Therapists own pages for their individual availability. 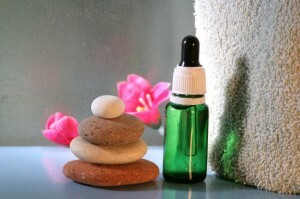 Essential oils have been used for healing for thousands of years due to their medicinal properties. They are powerful extracts from flowers, leaves, roots, seed, fruit and woods depending on the plant. Unlike synthetic aroma oils, the essential oils are not adulterated but are extracted from natural plants. Essential oils are expensive due to the comprehensive process it involves to extract the oils and the large amount of raw material that is needed to get a very small amount of oil.